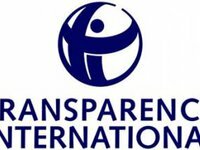 Ukraine has received only one additional point in the new Corruption Perception Index (CPI) 2014 by Transparency International, in comparison with 2013, and remains in the club of the most corrupt countries, according to a statement released by Head of the Communications Department at Transparency International Ukraine Olga Tymchenko early on Wednesday. "This year Ukraine scored 26 of 100 and took 142nd place of 175 in the CPI by Transparency International. Again Ukraine shares scores with Uganda and the Comoros as one of the most corrupt countries in the world....And a year after Maidan, still Ukraine is the most corrupt country in Europe," reads the press release. The disappointing results are caused by the hardly noticeable progress in destruction of corruption schemes that remained after the previous ruling regimes. "Despite 'the facade change,' Ukraine continues treading water. The newly-adopted laws have not yet given the tangible results in anti-corruption fighting," Transparency International said. Executive Director at Transparency International Ukraine Oleksiy Khmara said that the state had adopted certain laws and shown its intention to move towards the reforms, but it is not enough. "Anti-corruption laws that were adopted on October 14, 2014 give the ground for reforms. Soon we'll see the real situation with the reforms; it'll happen already in December," he said. "The new government together with the new parliament shall work on the state budget 2015. A question remains, whether the budget will allocate money for the Anti-Corruption Bureau or electronic system of the officials' declarations. Political will does not mean only vigorous calls from the rostrum. It means practical steps for implementing new anti-corruption laws, for example, transparent staff selection for the new anti-corruption bodies, punishment of all who are involved in corrupt schemes, non-interference with the work of those who fight against corruption. Ukraine needs it to raise its results in the CPI," he added. At the same time, Transparency International notes some anti-corruption steps by the country – bureaucracy is not as strangling for business as it was before; export and import became freer of bribes. In order to have real anti-corruption changes in Ukraine, Transparency International Ukraine appeals to the government, parliament and president to take five steps, in particular, to launch the new anti-corruption bodies properly, having adopted the amendments to the anti-corruption laws and provided necessary resources for establishment of institutions and selection of the qualified personnel; to immediately adopt the legislation on complete transparency of political party and election campaign financing, which has been drafted by civic experts; to develop the detailed action plan in the sphere of corruption counteraction on the ground of the Anti-Corruption Strategy of Ukraine, involving wide publicity and media; to ensure actual disclosure of the data of the state registers, first of all the Register of Immobility and Land Cadastre, and to start regular integrity inspections of officials by comparing their actual lifestyles with their declared property and assets. "Corruption Perception Index is based on independent polls, involving international financial experts and human rights activists, including those from the World Bank, Freedom House, World Economic Forum, Asian and African Development Bank. The Index is an assessment from 0 points (the highest corruption level) to 100 (no corruption)," reads the press release.